AVAILABLE NOW. 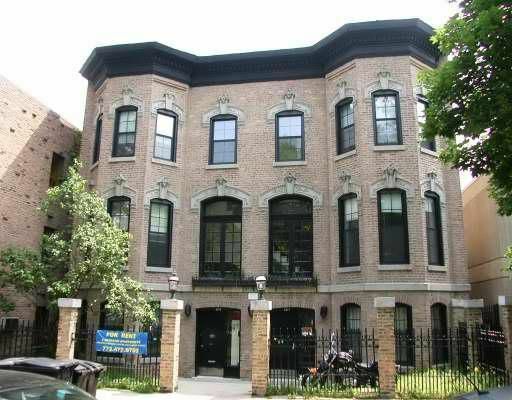 LINCOLN PARK'S BEST LOCATION- COACH HOUSE WITH SPACIOUS LAY OUT, FEELS LIKE A TOWNHOME, WOOD-BURNING FIREPLACE, HIGH CEILINGS, CENTRAL A/C, NEW OAK HARDWOOD FLOORING, LARGE SHARED YARD OVERLOOKING SPANISH STYLE COURTYARD. PRIVATE ENTRY. UPSTAIRS & DOWNSTAIRS. Also, a $500 rent credit (that's $500 off the rent) will be applied in January for the new tenants of this unit.